In 2011, we published a photo that showed a Mistel composite aircraft consisting of a Ju 88 G-10 as the lower component and a Fw 190 as the upper component (see photo no. 74 on page 59 of our ‘Captured Eagles Vol. I’). [a] The photo was taken from atop of another Ju 88 G-10 of which parts of its port engine could be seen at the lower border of the photo. 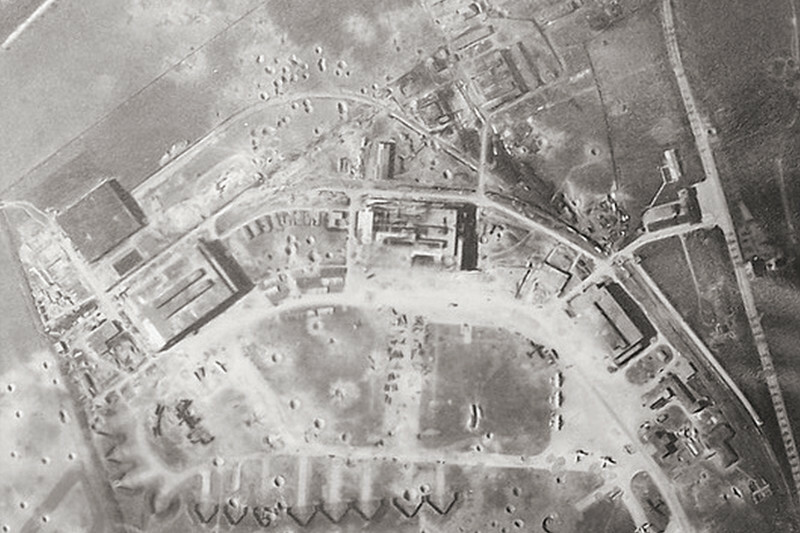 We know have identified the exact location of these two aircraft at Junkers’ Bernburg facility. 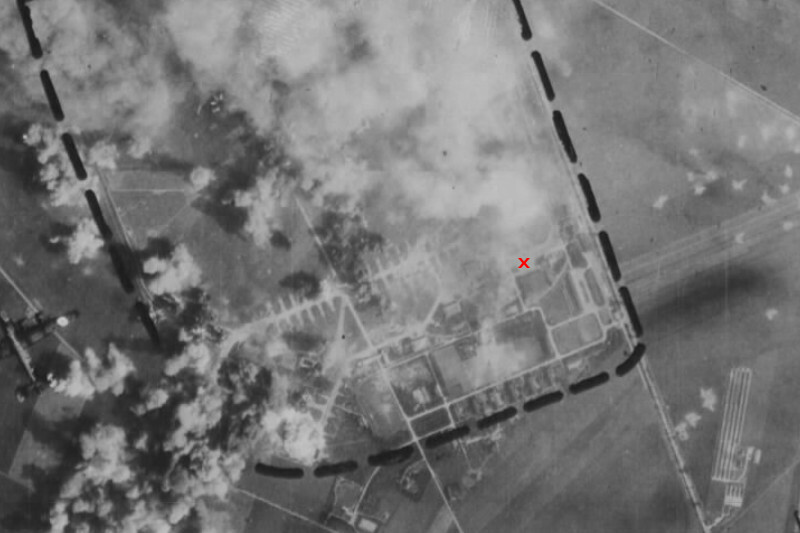 It is indicated by a red ‘x’ in the photographs published in this article. 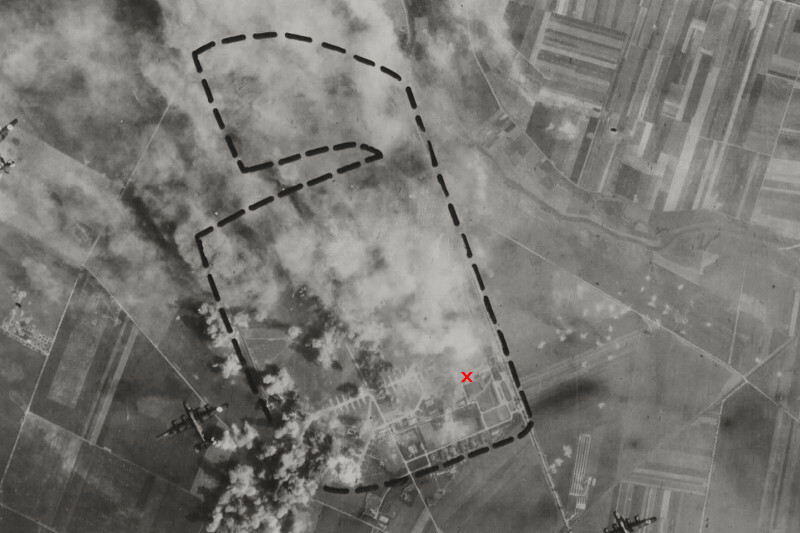 [b, c] Both were found at the south-southeastern perimeter of Junkers’ Bernburg facility (see first and second photo below, which was taken in fall 1944 after Bernburg was bombed by USAAF bombers; the black dashed line outlined the whole Junkers facility). 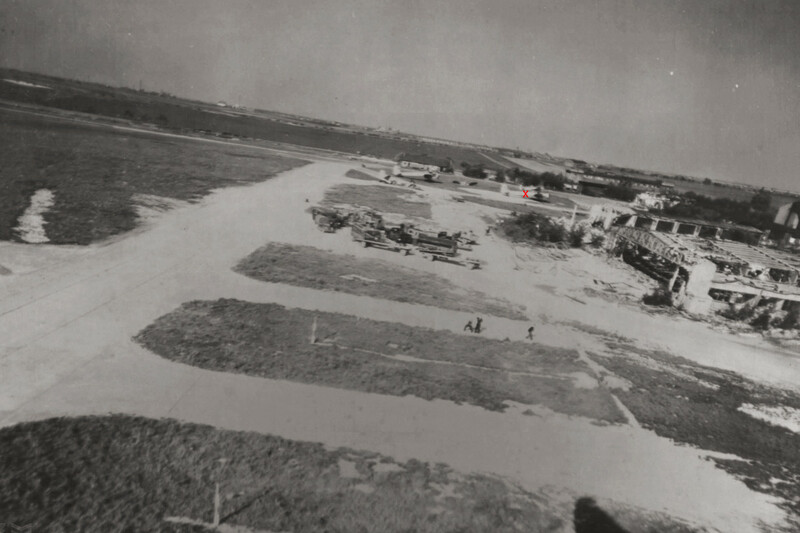 [c] The photo in our book was taken looking into south-southeastern direction.